We just purchased our monthly Frontline Plus flea and tick treatment for our black Lab and notice that Merial includes a security hologram sticker on their package. The purpose of the sticker is to let us consumers know that our purchase was genuine, and not counterfeit. The metallic portion reveals “security” text, as well as some text when tilted in the light. One suggestion I have for further securing Merial’s brand, would be to implement custom imprinted holograms. While text is visible when tilted in the light, the text is generic; the name of the company who produced the holograms. If an additional level of security is desired, custom imprinted holograms are an option. When tilted in light, rather than seeing generic text, the end consumer would see Merial’s custom design imprinted on the holographic foil. 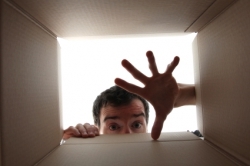 RighterTrack can help protect your brand. 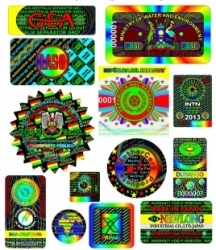 Why not design your exclusive branded security hologram sticker? Contact George Righter to help design your exclusive security hologram stickers today! 215-493-7192 or e-mail.